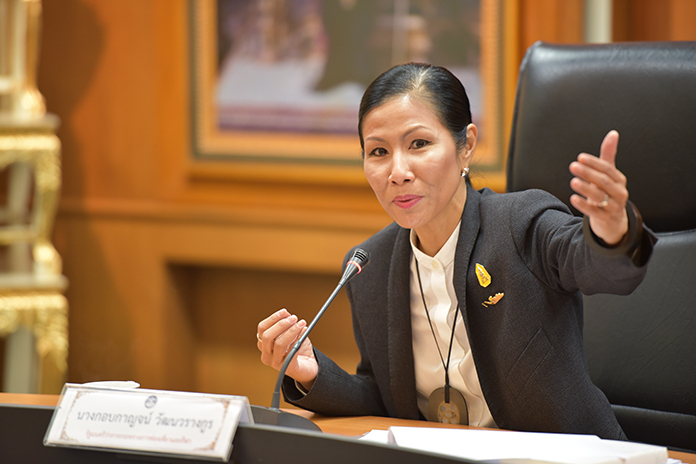 BANGKOK,(NNT) – The tourism minister has confirmed the introduction of stringent measures to watch over the safety of tourists. Tourism Minister Kobkarn Wattanavrangkul, traveled to Koh Samui in Surat Thani to listen to measures being taken to tackle problems in the tourism industry, including those related to the rental of speed boats and ferries, passenger boats, motorcycle taxis and taxis. The measures discussed covered the safety of tourists on Koh Samui, Koh Pha-Ngan and Koh Tao. Surat Thani Governor Wongsiri Promchana, said that after the recent boat accident, which resulted in the deaths of four tourists who were on their way back from the Ang Thong National Marine Park, the Koh Samui Marine Department has launched a safety awareness campaign to ensure that all tourists put on life vests while traveling. He said that Marine Department officials also stepped up the enforcement of laws while the Department of Land Transport has been advised to tackle problems related to public transportation.